I’ve just seen, first hand, the seeds of catastrophic climate change at work. 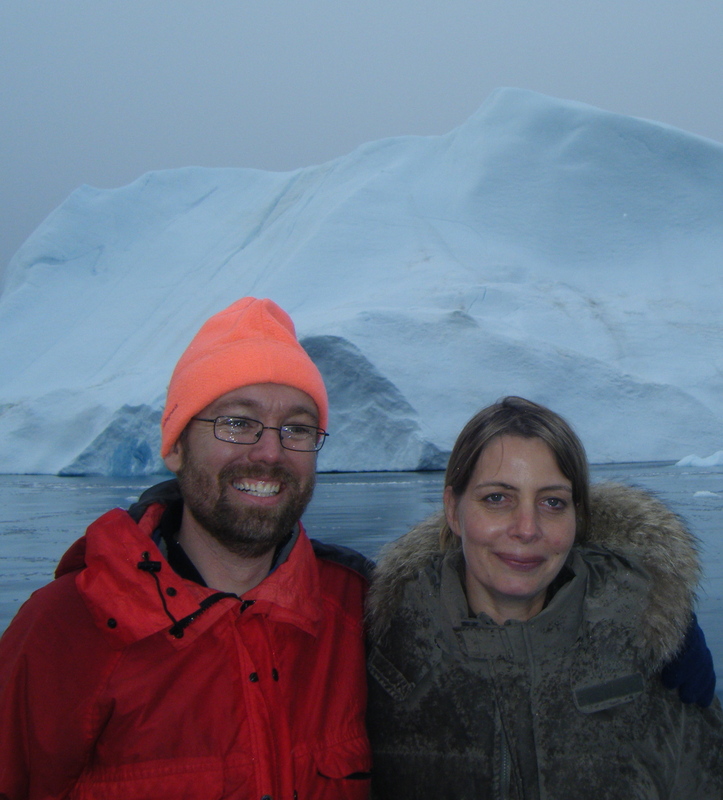 Spent the last four days exploring Illulissat Greenland in the “How to Stop the Ice From Melting” Learning Journey hosted by the Forum for Active Philanthropy (that’s their Managing Partner Felicity von Peter with me in the photo) and the Tallberg Foundation. Our CO2 emissions have led to much much more warming up here in Greenland than elsewhere (think ~2 degrees C up here vs. ~.6 globally). Impacts abound. I saw the 8km wide by 1km high face of of the Greenland Ice Sheet, which is calving 40 meters a day into the ocean (four times faster than when I went to high school), dropping Manhattan-city-block-sized icebergs into the ocean, and raising sea level in New York and Bangladesh with each splash. Talked with a Greenlander seal hunter and a boat captain who watched their glacier retreat 15 kilometers a year (!!) in the 80s, disturbing their fishing and way of life. Felt dwarfed by 150 meter high icebergs (see the photo) in the ocean and humbled by the mental image of another 800 m underwater. Heard the chilling news from Heinz Center’s Dr. Bob Corell who shared the current rate of contribution to sea level rise (relatively modest) and the potential contribution (huge – the island holds equivalent of 7 meters of additions to sea level). I have met our coal mine’s canary and heard her wheeze. All the more reason to begin the steady process of reducing CO2 emissions year after year, learning how to thrive more and more in a low-carbon economy. Wow! That must have been really something to actually see how quickly the Greenland ice sheets are breaking off. Greenland and Alaska are two of the places I would love to visit soon. Even though it can be very cold.